FX, home of American Horror Story and The Strain, knows what side their (spooky) bread is buttered on (the butter is made of unfathomable horror). 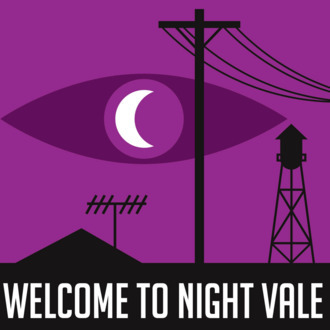 Presumably that’s why the network is now developing a series with Sony Pictures Television based on the popular podcast and book series Welcome to Night Vale, which is a fictional radio show covering all the supernatural news that’s fit to scream in a very peculiar town somewhere in the American Southwest. Joseph Fink and Jeffrey Cranor, who created Night Vale in 2012, will executive-produce the show alongside Better Call Saul EP Gennifer Hutchison. It’s not clear if the podcast’s narrator Cecil Baldwin, who voices Night Vale’s radio announcer Cecil Gershwin Palmer, will also star in the show, but it seems wise not to tempt the wrath of any of Night Vale’s odd residents — or of their many terrible, terrible heads.